Is Sir Puka missing in action? 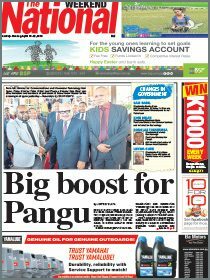 IT is nearly two years and the people of Abau are wondering where their MP, Sir Puka Temu, is. The Abau development plan unveiled at Kupiano station is yet to materialse. He campaigned on the slogan, “Abau rawana”, meaning “Abau is now sailing in the calm waters”, but nothing, in my eyes, is happening. Abau is sailing into rough seas already. Sir Puka has been in Parliament a long time and promised much, but the road from Kore village to Kelerakwa village is not sealed, and we were promised a sealed road a long time ago. Other projects promised include the introduction of oil palm to Cape Rodney and the surrounding villages, and the electrification of the Aroma Coast villages. We were also told that roofing irons would be distributed to villages in Abau, but we are still waiting. The new Abau district office is still incomplete and the woodwork is starting to rot away. The Kupiano Wharf has fallen apart and not generating any money.The ship mv Abau 1 sunk off the coast of Aroma and I have not heard of any investigation done to find out why. The ship MV Abau 2 is gathering seaweeds at Kupiano wharf. 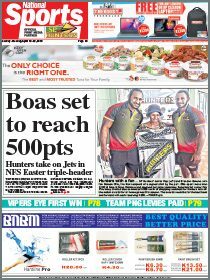 Can Sir Puka tell us what he has done for us in the two decades he’s been in Parliament? The ball is in your court, sir.